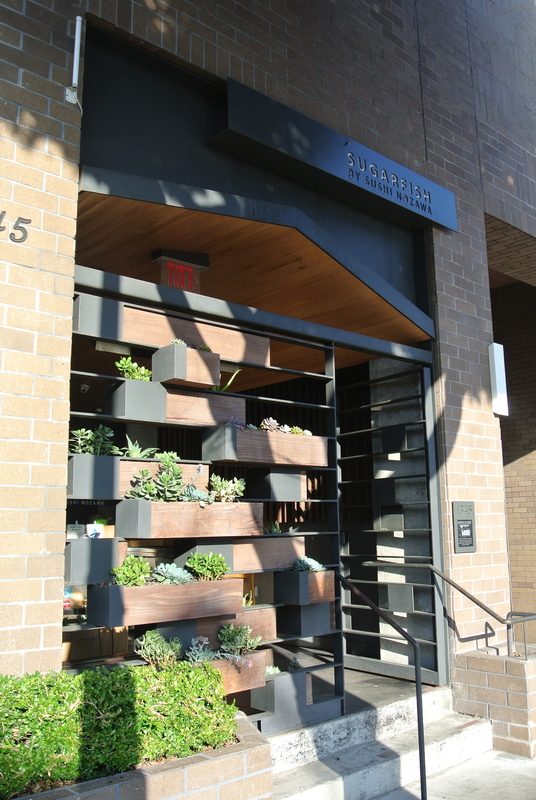 Sugarfish, another recommendation from our host J, is a Japanese sushi restaurant that is really focused on offering the traditional sushi experience, concentrating on the quality of the ingredients. There was no asian fusion or maki rolls to be seen in this place. 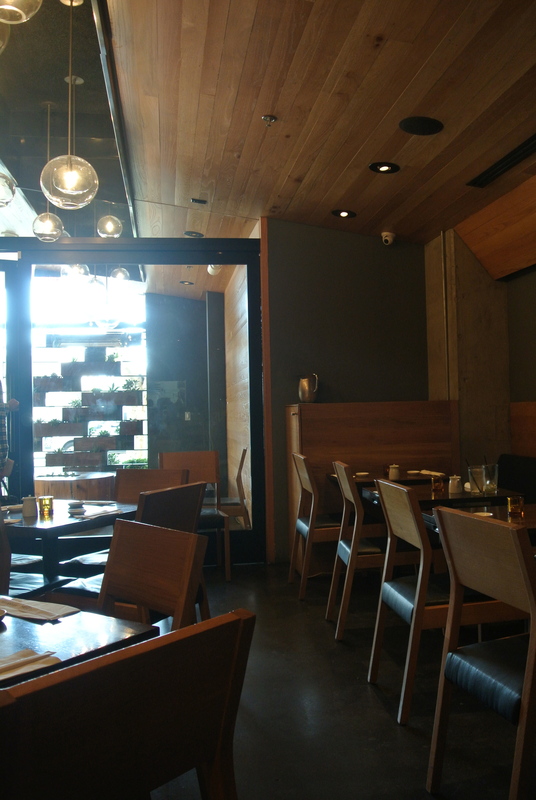 In addition to the a la carte menu they offered three levels of omakase style set course menu called “Trust Me” menus at $20, $30 and $40. I ordered the $40 Nozawa Trust Me menu which encompasses 10 courses including approximately 14 pieces of sushi. 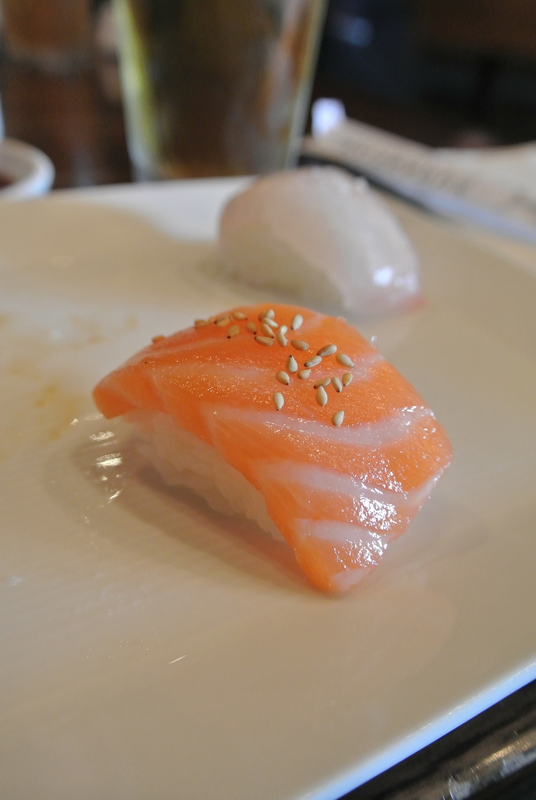 J described Sugarfish as one of the best sushi restaurants for the price and boy did it deliver. The best sushi I’ve ever had was 7 years ago in Tsukiji (Tokyo’s tuna auction market) and the sushi I had at Sugarfish reminded me of that type of freshness. 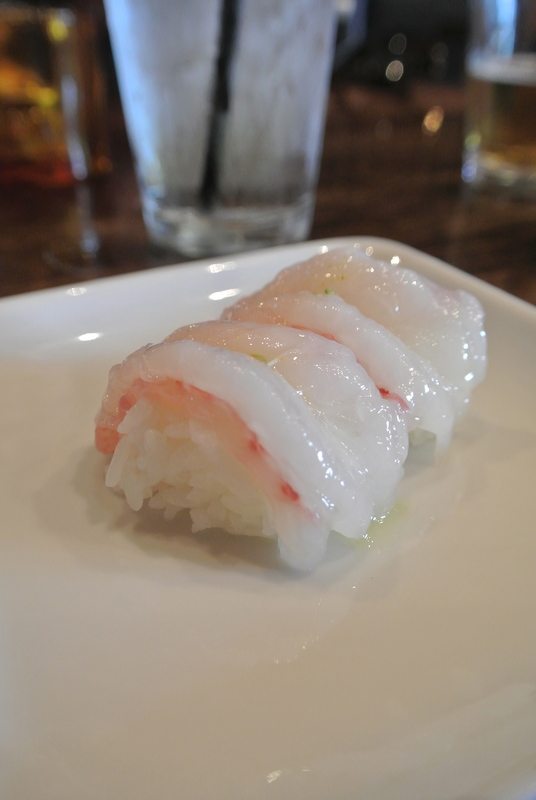 Of the 10 courses, my favourite was the “Daily Special” – raw shrimp which was butterflied, atop of sweetened rice nigiri style, with a drop of yuzu/ponzu. The shrimp was so sweet and melted in your mouth, and the small drop of yuzu/ponzu lifted it up by adding a touch of citrus – it was delicious. Definitely one of the best sushi I’ve had in North America in awhile. 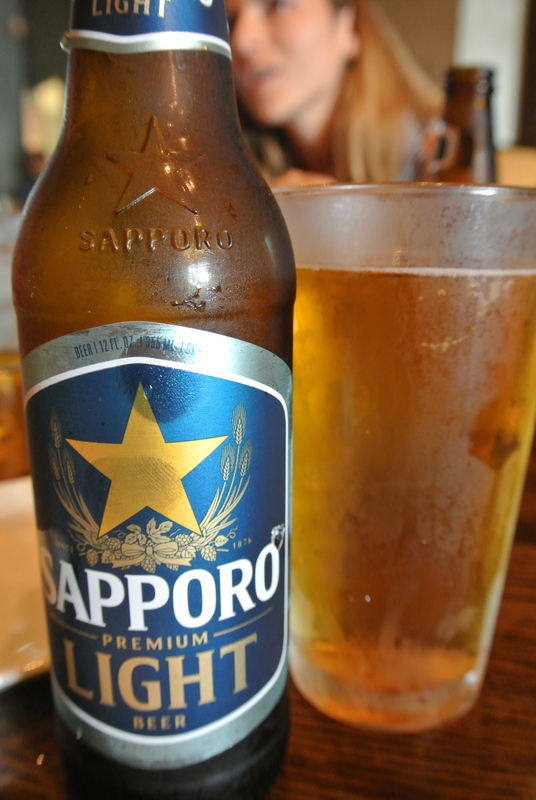 My new favourite beer – Sapporo Light. 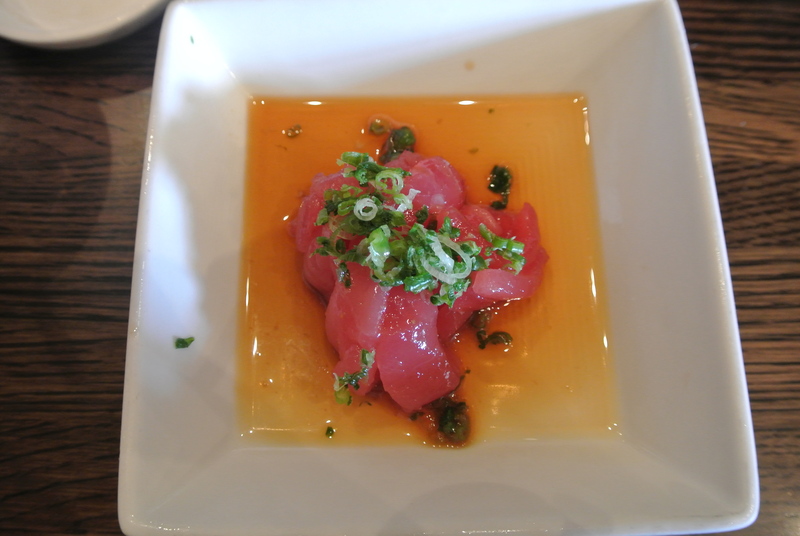 Dish 2 – tuna sashimi. 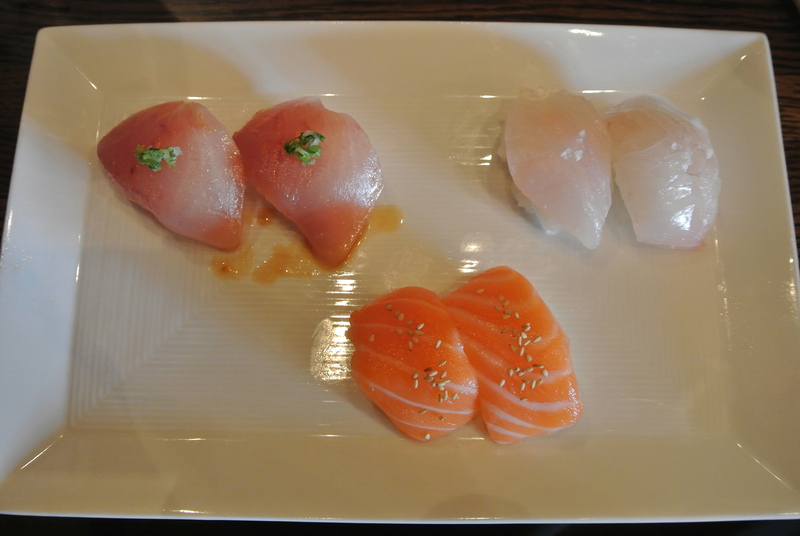 Dish 3, 4, 5 – 2 pieces of albacore, 2 pieces of salmon and 2 pieces of snapper. A close up of the salmon sushi. 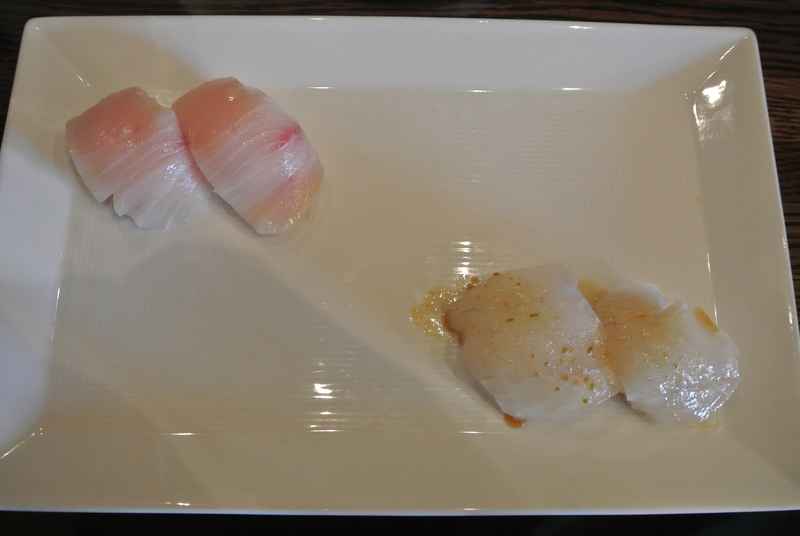 Dish 6, 7 – 2 pieces of yellowtail and 2 pieces of halibut. 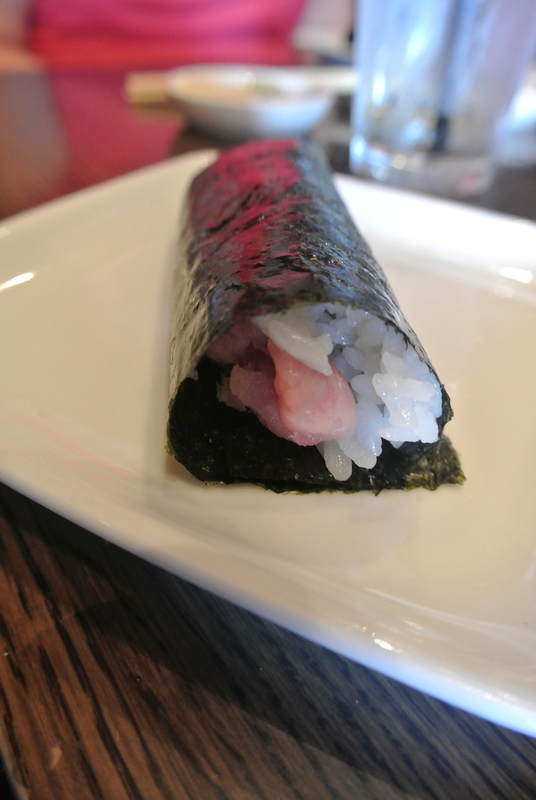 Dish 8 – toro hand roll. 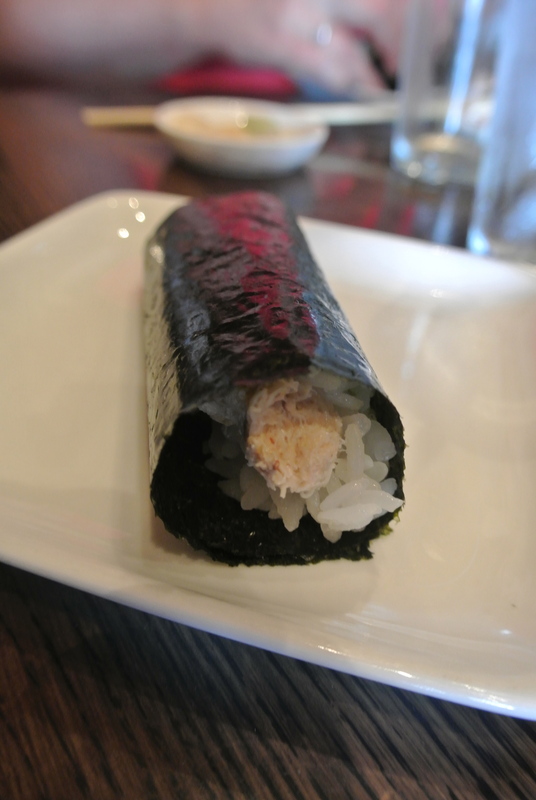 Dish 9 – crab hand roll. Dish 10 – the special of the day, 2 pieces of shrimp.